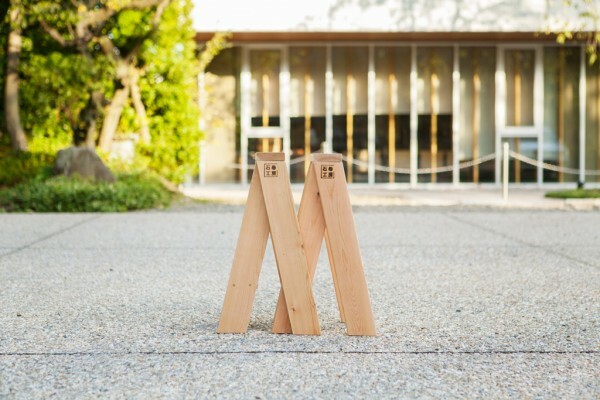 Following "skydeck", this product is the second item made in collaboration with Ishinomaki Laboratory, which is ‘a place of creating something new’ for the community, established by designers and others in Ishinomaki City of Miyagi Prefecture. 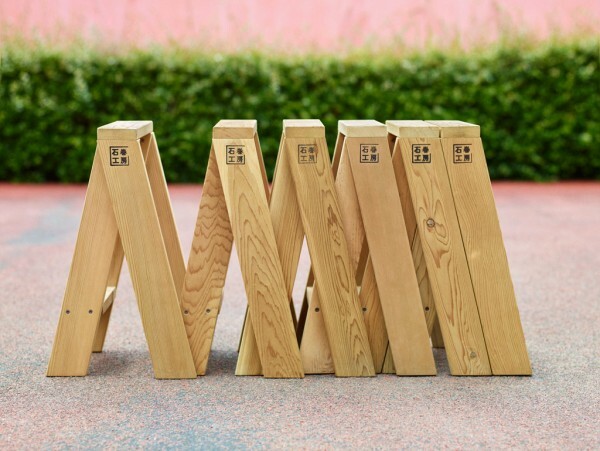 "AA STOOL" is a simple stool made of 26mmX87mm wood modules where the legs are cut at a slightly diagonal angle at both ends. 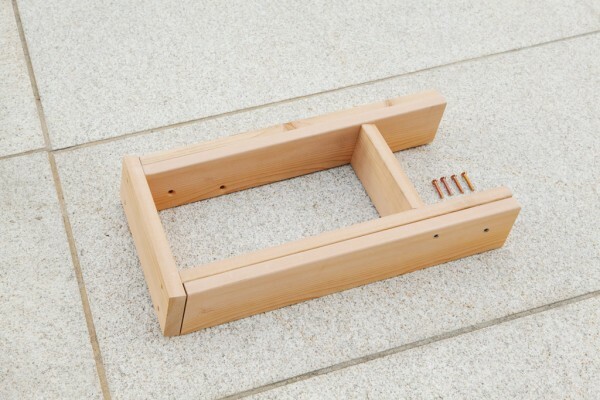 Combining these leg pieces together allows the stool to stand, and at the same time provides support for the seat of the stool. 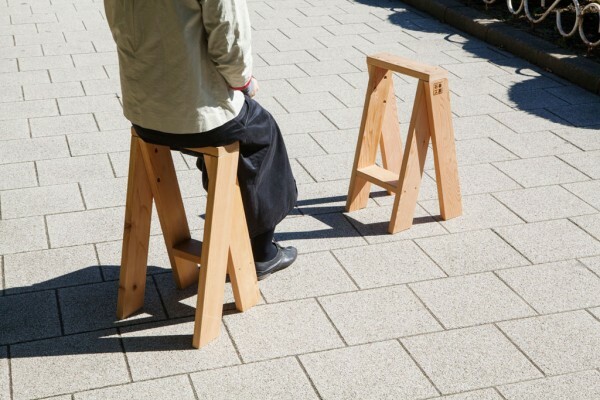 A set is composed of two stools, which can be integrated together into one unit. 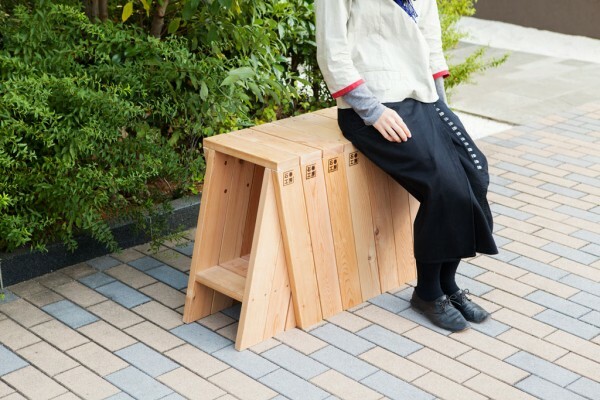 It can be separated into individual stools as required; for visitors use or for within small spaces. Stacking and lining up the stools lets the seat to gradually become wider, yet it remains as compact as it can possibly be. At a height of 560mm, the seat is a little higher than usual chairs, which allows for a comfortable upright sitting position. It is also convenient for those who work sitting on a stool. 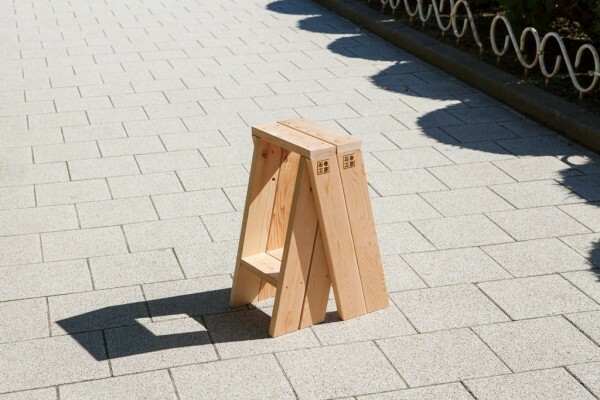 From the side, the stool looks like the letter ‘A’. 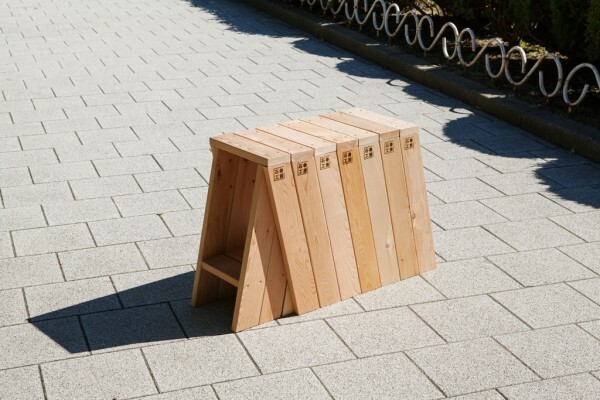 Whether you are stacking or separating the stools, you can find a new use each time as your imagination lets you.